We will open a taproom with a special focus on accessibility and providing jobs for people with disabilities. A cool button badge with the Glasgow Brewery Collective Logo for you to wear with pride, knowing you helped us on our way. One of our Glasgow Brewery Collective beanies to keep your head warm - it’s cold in Glasgow. One of our Glasgow Brewery Collective crowdfunder hoodies to wear with both pride and warmth. Brewery Bundle: treat your beer-loving friend (or beer-loving self) with a badge, a t-shirt, a hoodie, a beanie and a mixed case of 6 Ride Brew Co and Late Night Hype Brewing Company beers. We’ll give you a 5% discount at the taproom for life! Everyone will love and respect you knowing that you helped in such a big way. we’ll give you a 10% discount at the taproom for life! Everyone will love and respect you knowing that you helped in such a big way, even the 5% discount people will be in awe of you. Nano brew day: you and three friends can come and brew with us on our 1bbl kit. We’ll sell your beer in the taproom and you’ll get a case of beer each to take home. Plus you get to name the beer! (Terms and conditions apply, names must not go against Portman Group Guidelines, must be politically correct and must not infringe on someone else’s intellectual property. Glasgow Brewery Collective’s judgement is final. If in doubt, get in touch. Micro brew day: you and three friends can come and brew with us on our 6bbl kit. We’ll release it in bottle with a label designed by a local Glasgow artist. and you each get a case to take home. Plus, beer naming rights! (Terms and conditions apply, names must not go against Portman Group Guidelines, must be politically correct and must not infringe on someone else’s intellectual property. 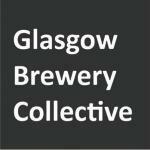 Glasgow Brewery Collective’s judgement is final.